On Monday, November 19, first snow covered Lviv. As a result, huge traffic jams occupied the city. 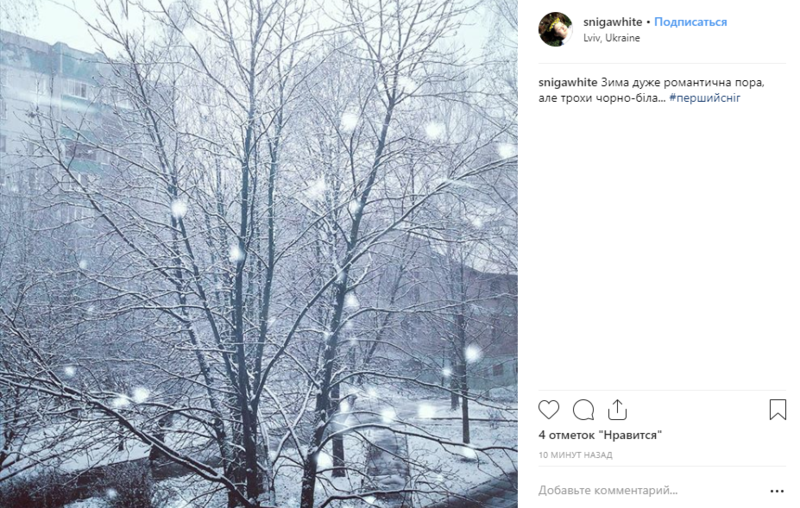 The resident of Lviv share the pictures of first snow in the social networks. As the meteorologist put it, this year, winter in Ukraine will be relatively warm. The average temperature will be below zero in December and January.